Canepa is the industry leader in buying, selling and restoring the highest quality automobiles including, but not limited to: BMW, Ferrari, Lamborghini, Mercedes, Porsche, and Shelby. Our technical experts have a combined experience of more than 200 years in the automotive and mechanical engineering industries. We provide exceptional automobiles and world-class services to enthusiasts around the globe. We are located in beautiful Scotts Valley, CA. operating out of a new, and state of the art facility. 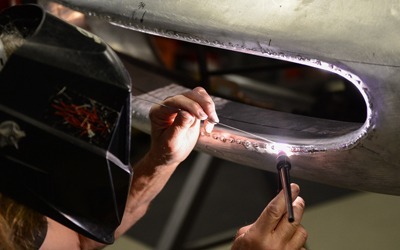 The Restoration and Custom shops produce concours level projects for both individual customers and corporations. These projects include all levels of repair & service, and range from complete restorations to mechanical and performance upgrades. Canepa is an industry leader in sales and restoration of the highest quality automobiles including, Porsche, Mercedes-Benz, Ferrari, BMW, Lamborghini, Shelby etc. Our technical experts have a combined experience of more than 200 years in the automotive and mechanical engineering industries. We provide exceptional automobiles and world-class services to enthusiasts around the globe. Our state of the art facility is located in the beautiful Scotts Valley, California. Canepa is seeking an individual for collector vehicle acquisitions. This individual will be responsible for sourcing, researching, and evaluating vehicles that Canepa can purchase for resale. Candidate will interface directly with the President and present vehicle information for final decision making. This individual must be quality minded, hardworking, and dedicated to providing the highest level of service in the industry. We are seeking a person who is highly professional, who can work individually, as well as part of a multifunctional team. Apply today for a rewarding and challenging position with one of the industry leaders. Canepa is seeking an auto salesperson. Candidate must have excellent written and verbal communication skills and must have background in the automotive industry. This individual must be quality minded, hardworking, and dedicated to providing the highest level of service in the industry. We are seeking a person who is highly professional, who can work individually, as well as part of a multifunctional team. Canepa is seeking an Auto Body Technician. This individual must be quality minded, hardworking, and dedicated to providing the highest level of workmanship in the industry. We are seeking a person who is highly professional, who can work individually, as well as part of a multifunctional team. 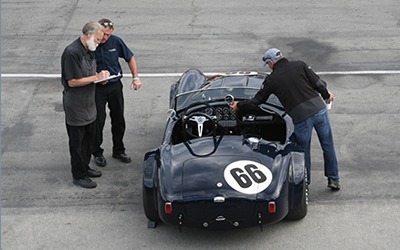 Canepa is seeking a qualified full time General Manager for our Motorsports Department. Ideal candidate would have managed a high-level Motorsport shop and/or owned their own shop and has a thorough understanding of maintaining the highest level quality of work. Candidate will be working hands on with some of the finest automobiles in our state of the art facility in beautiful Scotts Valley, CA. • Proven track record of completing projects, prioritizing and meeting deadlines. • Mechanical and automotive experience with racecars preferably Prototypes, Sportscars, Open Wheel, etc. (1950s to 2000). • Knowledge of fabrication, welding and machining. • Practical track experience; Team Manager/Crew Chief. • Customer communication skills and the ability to successfully keep customers current on projects. •Organizational skills; keeping detailed notes and writing up projected outlines and proposals. • Forecast parts and labor on projects. • Ensuring and maintaining customer satisfaction. • Quality assurance of work performed/delivered. • Ensure a safe and productive operation through proper implementations and administration of company policies and procedures. • Assigns work orders; ensuring work is distributed efficiently for the highest shop and technician productivity and standard of repair. Compensation: Please submit a salary requirement with resume. Canepa is seeking a Motorsports Mechanic that is interested in taking the next step in their career. This individual must be quality minded, hardworking, and dedicated to providing the highest level of service in the industry. Applicant must have a broad knowledge base of all mechanical aspects of a vehicle, from suspension and brakes to engine and transmission. Must be highly versatile with superior skills and be able to produce work of the highest quality. Candidate should have exceptional diagnostic ability along with race preparation experience. We are seeking a person who is highly professional, who can work individually, as well as part of a multifunctional team.